Dame Gracie Fields, DBE (born Grace Stansfield; 9 January 1898 – 27 September 1979) was an English actress, singer and comedienne and star of both cinema and music hall. She spent the later part of her life on the isle of Capri, Italy. 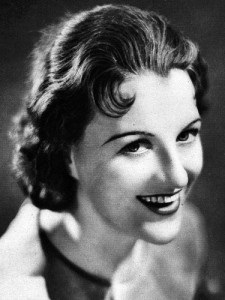 Fields was made a Commander of the Order of the British Empire (CBE) for "services to entertainment" in 1938, and in 1979, seven months before her death, she was invested a Dame by Queen Elizabeth II.